Online registration is closed, but do not worry race day registration is available. Registration/race number pickup begins at 8:30 am on Sunday. Dr. Lindsay Gallion, DC with KC Core will be out again to support our athletes. KC Core specializes in Sports Chiropractic and Active Release Technique (ART). Stop by before or after your event. Lantern Rouge will also be out Sunday As always look for Roger out on course encouraging you to do your best. Find his photo albums at Roger's House of Photos. Be sure to DRINK and Stay Hydrated before and during the Meltdown. 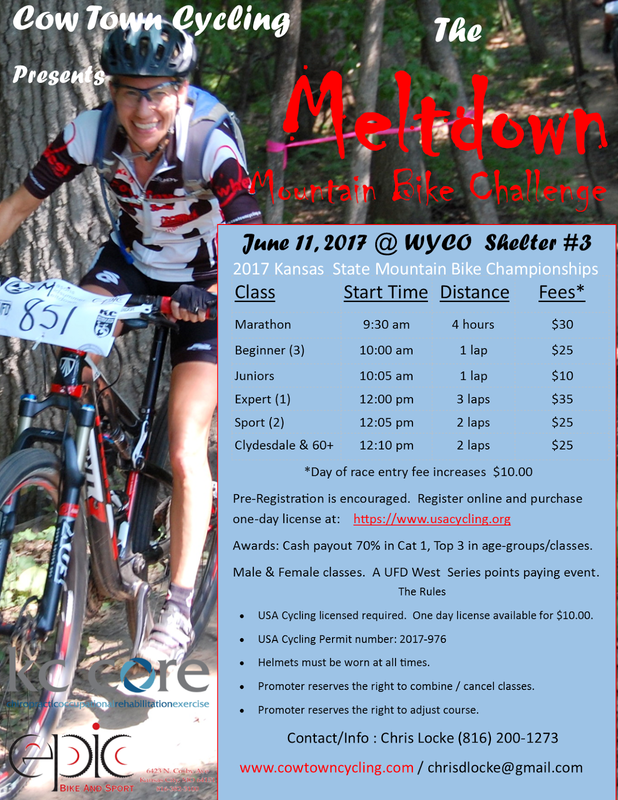 We are excited to announce the 2017 Meltdown Mountain Bike Challenge. Awards are ready for this weekends big event. Custom mugs to top 3 in each division. 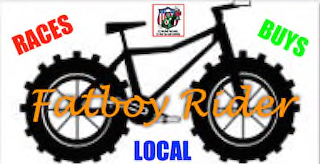 Kansas riders will also be competing for USA Cycling State Championship medals. Volunteers are the lifeblood of these events. Please contact Carolynn if you can help out this year.